Recent Auburn Graduate Moves on to National Round in Denver, Colo. 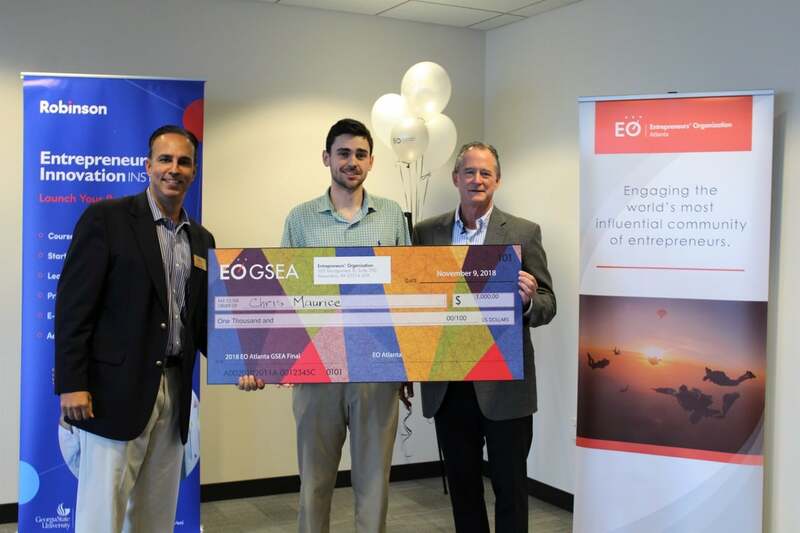 The Atlanta chapter of Entrepreneurs’ Organization (EO Atlanta) awarded Chris Maurice, a recent Auburn University graduate, the top prize in the regional round of Global Student Entrepreneur Awards (GSEA). and 10. He won a six-month membership to Atlanta Tech Village and $1,000. Three winners were selected from among the 13 entries. In addition to Maurice, two students won second place, as they received the same scores from the volunteer judges. The competition was held Nov. 9 at the Georgia State University Buckhead Center. The final prize will be awarded at the global celebration in the resort and trade hub of Macau along China’s southern coast in April 2019. The 2018 EO Atlanta Global Student Entrepreneur Awards were sponsored by Georgia State University, Frazier & Deeter, Atlanta Tech Village, and EO Atlanta.